The REEHAB project is examining its precise geographical distribution of honeycomb worms and the effect of various environmental factors on its habitat. 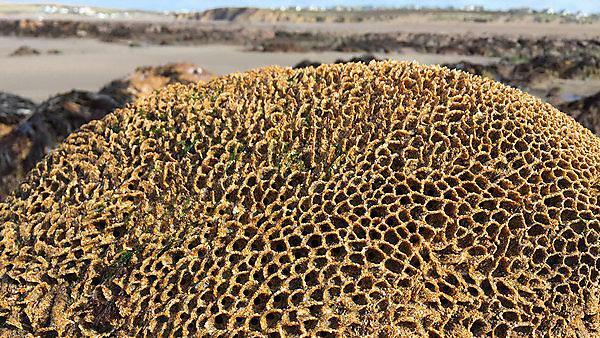 Honeycomb worms (Sabellaria alveolata) are normally no more than 3cm long, but create strange rounded masses resembling corals that are commonly attached to rocks. Up to 30,000 individual worms can be found per square metre, and the structures they create can protect the coastline from erosion by attenuating wave action, while also playing an important role in coastal ecosystem biodiversity. 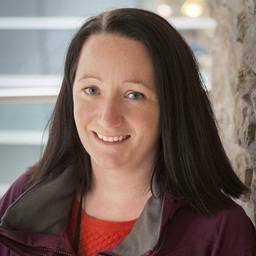 The project is being led by Ifremer (the French Research Institute for Exploitation of the Sea) and funded by the Total Foundation, with Plymouth among three international scientific partners alongside Bangor University and the University of Porto. The honeycomb worm is found from Scotland to Morocco but the highest densities are found on the French and English coasts, particularly in the English Channel and Atlantic coast. It is a sessile marine tube worm, meaning that it lives in a tube that it builds from sandy sediments, cementing them together with an organic glue that it secretes. At low tide, the worm stays in its tube protected by a plug of mud, but when the tide comes back in, it emerges out the top of the tube and deploys its feeding tentacles to trap microalgae. The presence of honeycomb worm tubes often goes unnoticed, but in some circumstances, they fuse together and form veritable reefs up to 2m thick that can stretch over several square kilometres.